Grocery shopping can be a guessing game. It’s a messy mix of what we think we need, and what we actually need, and what we want. The infinite variety in the grocery store is daunting enough, but it’s the ugly, unappetizing ingredients we end up purchasing that torment us. We buy what seems like a good idea, the items that might have the potential for a delicious dish. We think we have it all figured out. And then we try to cook. Here’s where the disappointment sets in. You open your fridge, hungry for inspiration—and a meal—and all you see is a smattering of unappealing ingredients. Ground beef, let’s be honest, looks gross. And plain, packaged tofu is about as uninspiring as it gets. Even things like pomegranate—so versatile! so healthy!—is, wait, why did we buy that? A grocery cart that seemed creative and versatile earlier now looks like an erratic shopping spree. Stuck in a rut, your dinner ends up uneventfully ordinary, weirdly imaginative, or out of a takeout/microwave container. Grocery shopping fail. The online grocery shopping experience is, in many ways, no different from the hassle, anxiety, and forgetfulness of shopping in the store. Even the best online grocery websites still have digital ‘aisles’ that you can peruse, stocked with individual items and the hope that you’ll scoop up what you need. But what would you rather shop for – the stuff on the left or the stuff on the right? 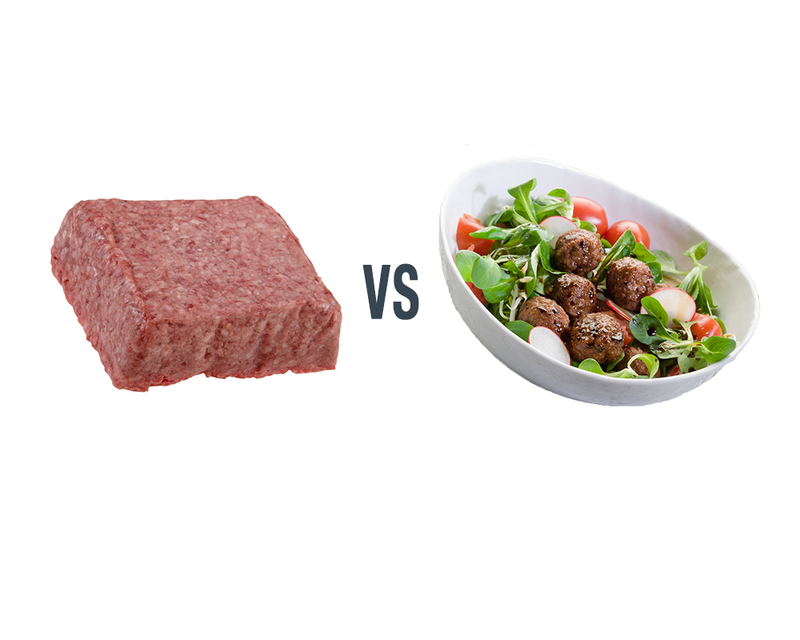 We’d rather eat and shop for the recipe on the right than the (what is that?!) pound of ground lamb on the left. Chicory removes the guessing game from groceries. When you shop with us, you’ll shop with meals in mind, transforming uninspiring ingredients into tonight’s recipe. We sync your favorite recipes with actual products and ingredients in the grocery store, so when it comes time to cook dinner, you have everything you need. No guessing, no disappointment, all possibility.